Starting The Week Off... with memories of a great weekend getaway! 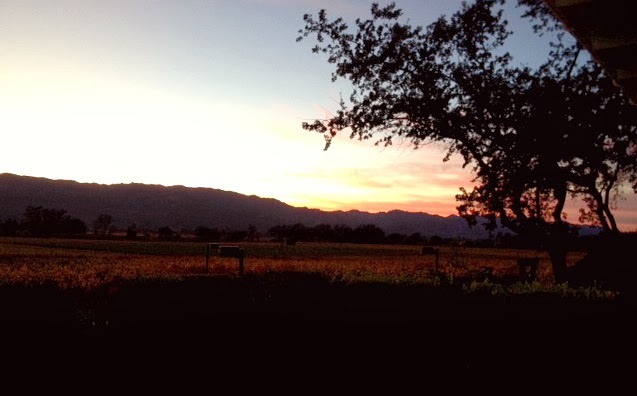 When we get the chance to "run away from home" Rob and I love visiting the Napa Valley. I was able to join him while he was at his company's headquarter's in Northern California on Friday and head up to Napa. I don't like to fly but, if the Napa Valley is the destination, I'll do it. And oh man! While Rob and I are trying to find each other at the airport he texted that he thought he was looking at Dave Grohl (Foo Fighters / Nirvana). So, when I spotted Rob outside he smiled and pointed toward a tall, dark haired guy who was deep into his phone. I walked slowly, slowly then stopped right in front of him. He glanced up, smiled and said "Hey". Yay! It was Dave! I said 'Hi' back then added 'my family loves you!' (Katie and Lily are very familiar with "Learn To Fly" from Rock Band and love the video too.) Dave said "Cool!" and smiled a big smile. When Rob and I were driving away Rob waved and Dave gave an energetic wave back. Dude! That was Dave Grohl! Great way to start the weekend. And did I get a pic? Nope! I'm too embarrassed. I went away on this trip with no laptop. And I didn't take many pictures either because I really wanted to be present - to sit and breathe and feel as much of this place as I could take in. I love Napa. In particular I love St. Helena, Calistoga and Rutherford. Our first stop is always Mumm Napa. We made it to the tasting room with 2 minutes to spare until closing. The patio was filled with others enjoying the gorgeous sunset. 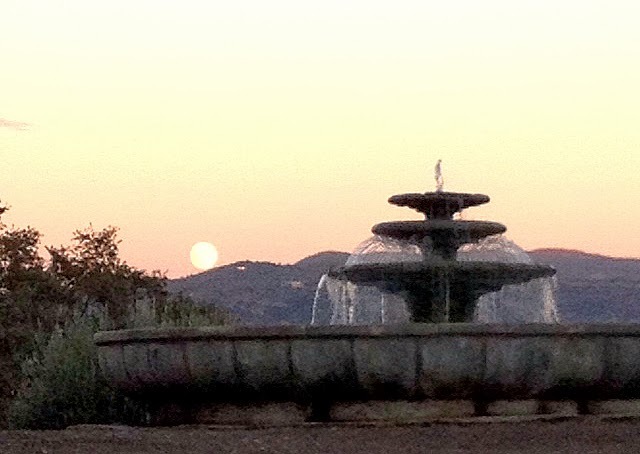 People get pretty darn happy with sparkling wine and a great sunset! 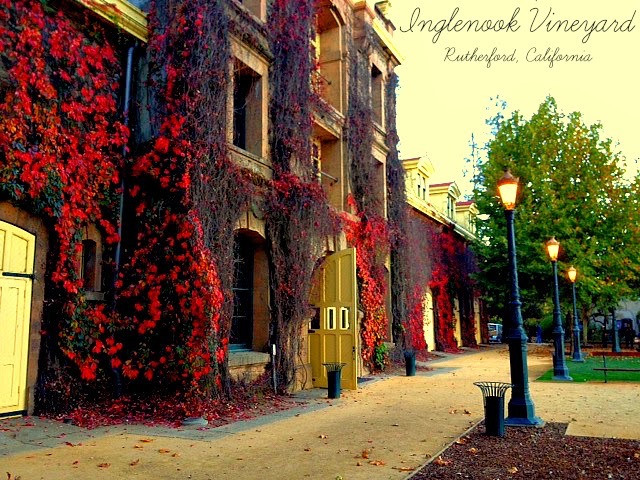 Another must on our list is to visit the once Inglenook, then Coppola-Niebaum, once again Inglenook Vineyard. That "Rutherford Dust" in a red makes for some of the best wines I've ever tasted. And the grounds, the building itself, is one of the most beautiful places I've ever been too. While trekking to the top of the hill, our favorite spot, we turned from the sunset to see what was peeking up behind us - a full moon! With our dear old cat Maddy passing last weekend, and the thoughts of a busy holiday season quickly approaching, it was so lovely to sit, be still, breathe and drink delicious wine while holding the hand of my wonderful husband. Hopefully it won't be another year before we visit again.